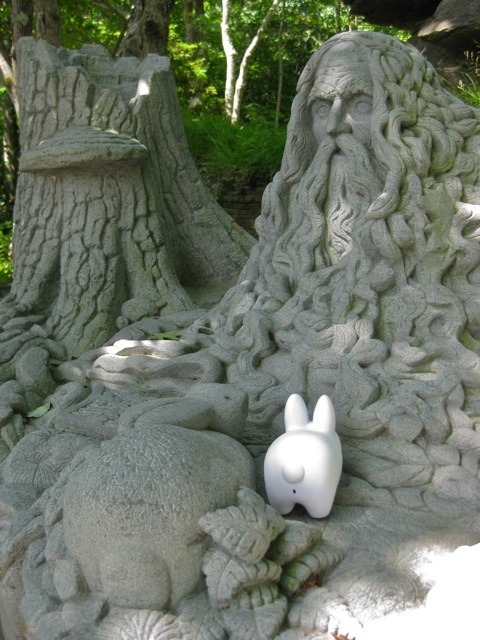 Pipkin hitched another ride with his motorcycle riding friend Nick to Hunter Mountain, NY. 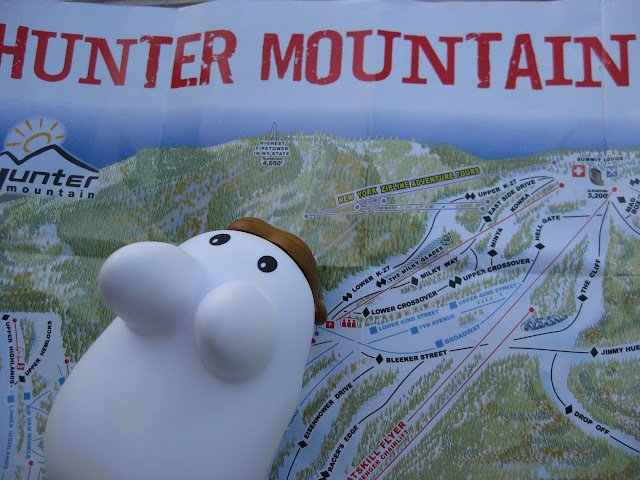 He didn't have $10 to ride the lift up the mountain, but he was fine hopping up Belt Parkway, one of the ski runs at Hunter. 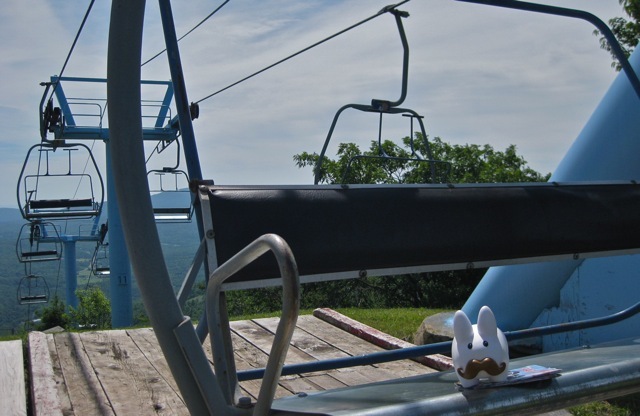 He hopped up on this chairlift, which wasn't moving, just for the fun of it. 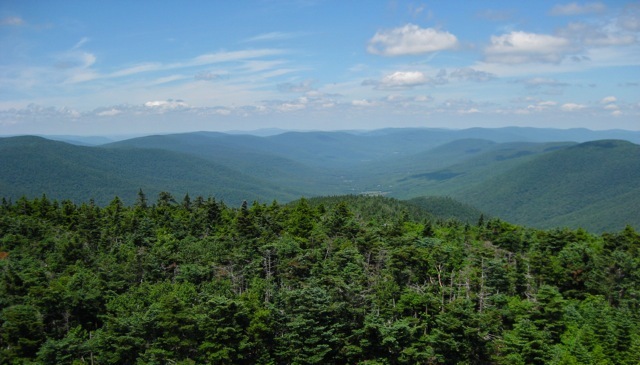 From the top of the lifts you can follow the trail markers towards the peak of Hunter Mountain, where you'll find New York state's highest fire tower at 4050 feet. Pipkin in the shadow of the lift. 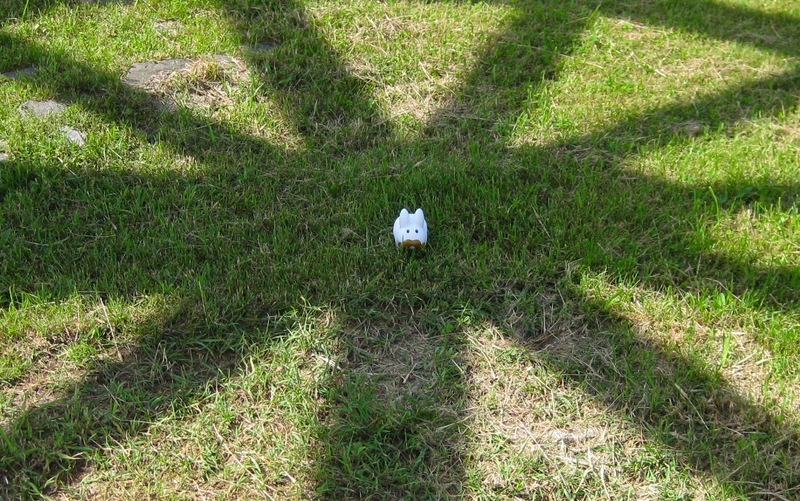 Doesn't the shadow look like Frith? Hunter Mountain also has a zipline course, new this year. 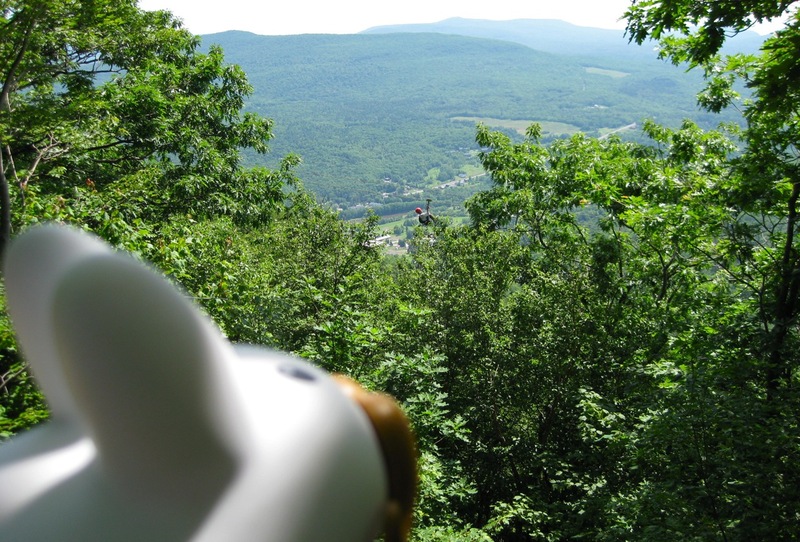 It is the highest and longest zip line tour in New York state. Pipkin watched a few people zip across the first zip line, but didn't have any desire to do it himself. 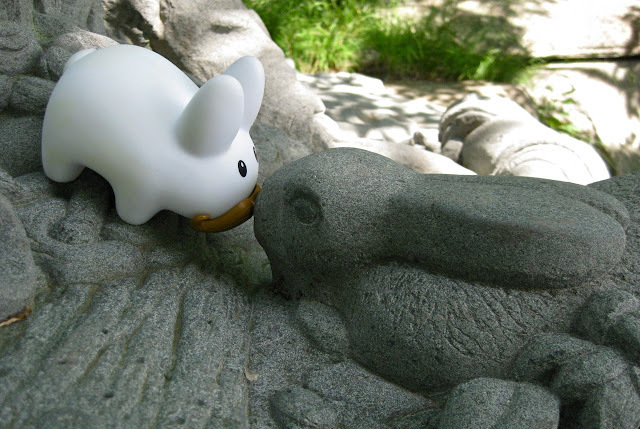 A nice stone bunny was a part of a Rip Van Winkle carving along the trail to the fire tower. 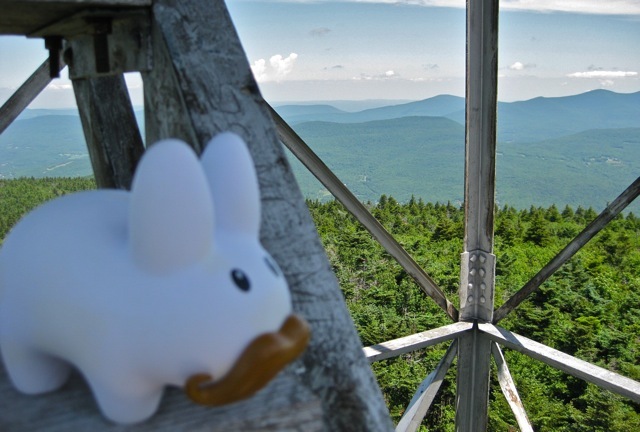 Finally at the peak, Pipkin takes in the breathtaking view at the top of the fire tower. It was very windy, so he didn't stay long. Isn't it pretty?